It is the first watch capable of downloading information from a computer. 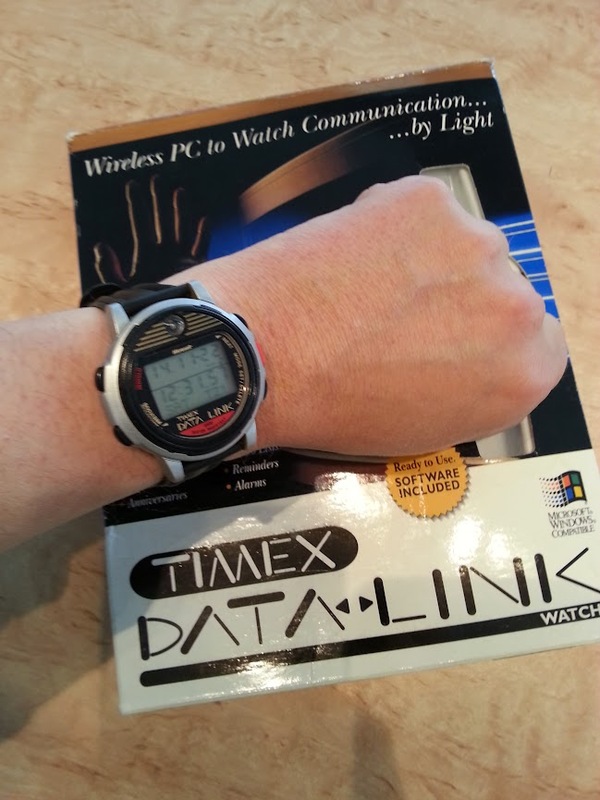 As the name implies datalink watches are capable of data transfer through linking with a computer. 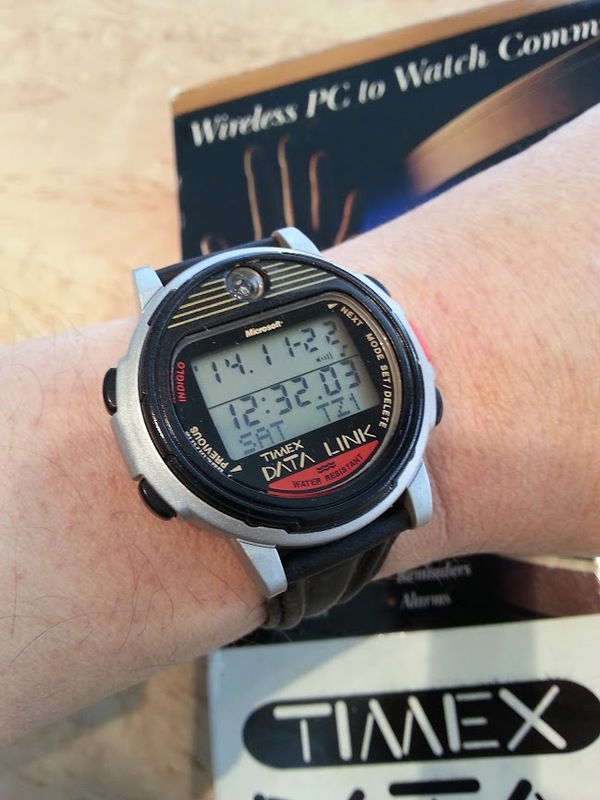 The Datalink line was introduced in 1994 and it was co-developed with Microsoft as a wearable alternative to mainstream PDAs with additional attributes such as water resistance, that PDAs lacked, and easy programmability. The early models included models 50, 70, 150 and model 150s (small size). The model numbers indicated the approximate number of phone numbers that could be stored in the watch memory. These early models were, at the time of their introduction, the only watches to bear the Microsoft logo. The watches have been certified by NASA for space travel and have been used by astronauts and cosmonauts in space missions. 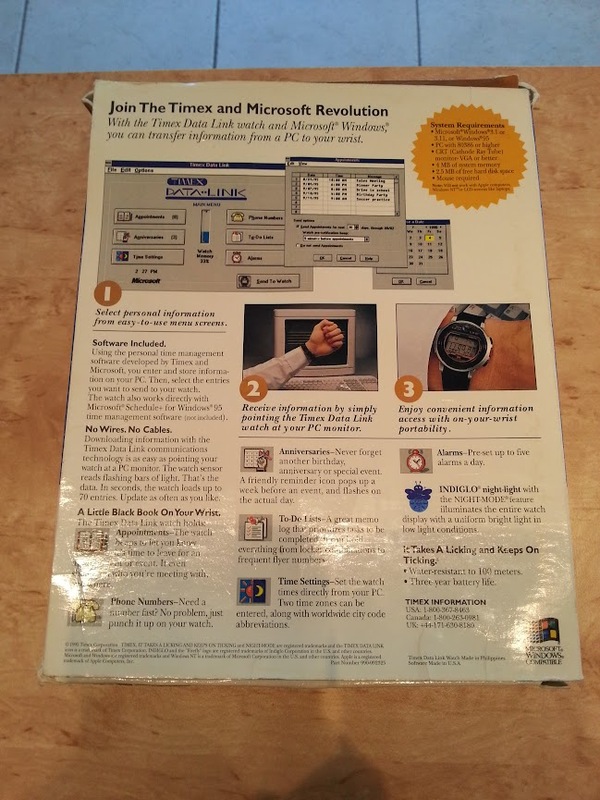 The data files were accessible via the Timex-Microsoft co-developed special Datalink interface that resided in the computer. In addition the absence of a keyboard made the watch compact, water resistant and no different at first glance from any other digital watch. Upon closer inspection however a small lens at the position of 12 o' clock on the watch face indicated the mode of the wireless data transmission through visible light. Data was transmitted from the CRT of the computer through a series of pulsating horizontal bars, that were then focused by the tiny lens and inputted into the watch EEPROM memory through an optoelectronic transducer operating in the visible light spectrum and employing optical scanning technology. The CRT synchronization was possible only for systems operating on Windows 95 and Windows 98. The watch was compatible with Schedule+ and for the Datalink 70 model the time needed to download seventy phone numbers was about twenty seconds.